Jack Walz Flammer died Feb. 27, 2012. A native Californian, Jack was born in Los Angeles on May 26, 1923, to Marie and Clarence Flammer. He grew up in Hancock Park and attended Cumnock Academy. Jack graduated from Stanford University majoring in business. His studies were interrupted by World War II. Jack served his country in the Army and was stationed in the Philippines at Gen. McArthur's headquarters. After the war, he began his career as a commodities grain trader at his father's company, Flammer Mill and Warehouse, in Los Angeles. In 1962, Jack formed his own trading company, J.W. Flammer Co., in Anaheim, Calif. At one time he ran seven train hopper cars across the U.S. He served on the board of directors and was president of the Los Angeles Grain Exchange, the California Grain and Feed Association and the National Grain and Feed Association in the 1960s and '70s. Jack began his second company, Sunnyslope Tree Farms, in Orange County in the 1980s. It was a wholesale grower of large trees in boxes up to 96 inches with growing grounds in Orange, Riverside and San Diego counties. It soon became one of the top wholesale growers in Southern California, shipping trees throughout California, Nevada and as far away as Dubai for large commercial installations. He loved driving through his tree yards and took great pride in the symmetrical and beautiful trees that his family grew. He also owned KICK-FM radio station and one of the first titanium golf club manufacturing companies in Japan. Jack was married four times. He married Janie Gresham Hairston in 1984 and they enjoyed a wonderful life traveling the world together. Janie and Jack moved to the Santa Ynez Valley on the central coast in 2005. Jack loved his lifestyle there and was always in awe of the beautiful rolling green hills dotted with majestic oaks. 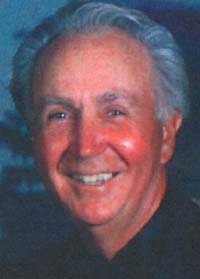 He was a member at the Alisal and enjoyed Sunday golf games with his many good friends. He gave up "the sticks" after his second open-heart surgery at age 85. His Parkinson's took away his balance but never his love of the game. Jack was also a member of Santa Ana Country Club, Newport Beach Country Club, PGA West, Thunderbird Country Club and the Reserve Club in Indian Wells. One of his proudest accomplishments was at The Valley Club in Sun Valley, Idaho, where he and Janie kept a summer home for the last 18 years. On July 22, 1988, he came inches away from one of the rarest feats in golf. Jack, who was 75 and carried an 18 handicap, shot a 76. He is survived by his wife Janie of 27 years, three sons, four stepsons, 16 grandchildren, three great-grandchildren and his two beloved Jack Russells, Rowdy and Skeeter. We would like to thank all of his caregivers at the Friendship House and Maravilla and his wonderful physicians and close friends who made his life joyful and memorable until the end. He was a wonderful and loyal friend to all who knew him. His sparkling eyes and beautiful smile will be dearly missed and long remembered. There will be a private family memorial this spring in Hawaii where he and Janie were married. Any remembrance should be directed to the Salvation Army or the Red Cross, two charities he always held dear.